- Weleda Massage Oil with Arnica 200ml has been especially formulated to facilitate the muscular preparation and recovery. The extract of arnica relieves in the event of muscular tiredness. The olive and Sunflower oils guaranty one slips optimal at the time of the massages. - Before the sports activity: in fast friction, it supports the heating and limit the muscular contractions. - After the sports activity: in full and slow massages, it accelerates muscular recovery and prevents the appearance of the aches. - to untie the tensions and in the event of muscular embarrassment in the back and the members related to a physical effort, with the stress, sedentariness…. 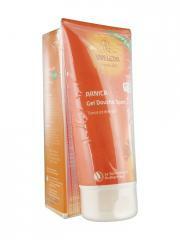 - to relieve bottom of the back and to soften the skin in period of pregnancy. Essential oils of lavender and rosemary with the aromatic perfume reinforce its invigorating and relaxing effects. The high level athletes and masseur-kinesitherapists vote by plebiscite this oil of massage. Without conservatives, dyes, perfumes of synthesis, mineral oils. Not tested on the animals. 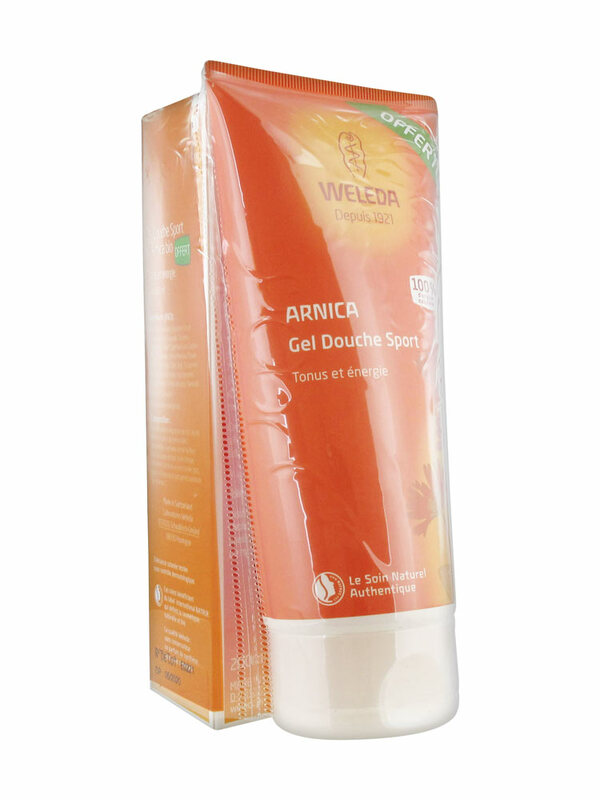 - Weleda Sport Shower Gel with Arnica 200ml with ingredients from 100% natural origin and plant cleansing basis gently cleanses the skin and tones. After the effort, it offers a real instant of freshness thanks to its fresh aromatic and stimulating fragrance combining lavender and rosemary. The skin is clean, perfectly perfumed and the body recovers its energy. The oil: apply on a clean skin and massage to allow penetration. The shower gel: apply on wet skin, lather and then rinse off. Indication: Sport preparation and recovery. To enhance the tone and energy. L'huile : Helianthus Annuus (Sunflower) Seed Oil, Olea Europaea (Olive) Fruit Oil, Parfum* (Fragrance), Arnica Montana Flower Extract, Betula Alba Leaf Extract, Limonene*, Linalool*, Geraniol*, Coumarin*. *d'Huiles essentielles naturelles. * from essentail oils. Le gel douche : Water (Aqua), Alcohol, Disodium Cocoyl Glutamate, Coco-Glucoside, Glycerin, Fragrance (Parfum)*, Xanthan Gum, Sodium Cocoyl Glutamate, Arnica Montana Flower Extract, Lactic Acid, Citric Acid, Tocopherol, Lecithin, Glyceryl Oleate, Hydrogenated Palm Glycerides Citrate, Ascorbyl Palmitate, Limonene*, Linalool*.